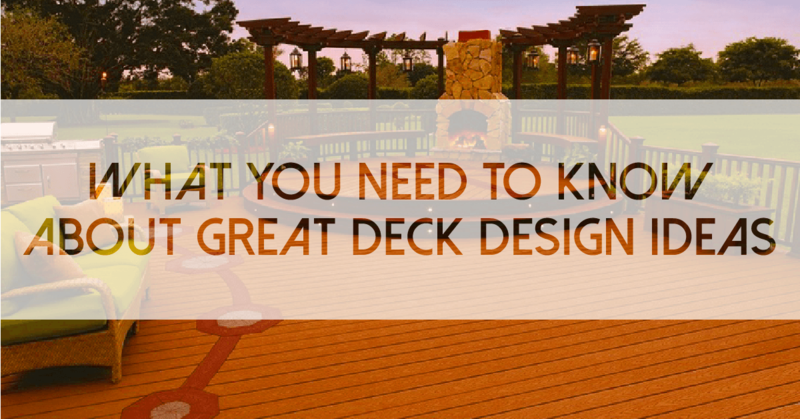 Attractive, inviting decks add value and curb appeal to houses; this year’s deck trends point toward great design and supporting technology to make your wildest deck ideas come true. With deck replacement, Sacramento homeowners rely on Straight Line Construction to bring their dreams alive with our innovative techniques. Here are some of the great ideas we feature. Over the years the composite materials have overtaken traditional materials for decking, railings, and steps. Hardwoods can be expensive, tend to splinter, and require a lot of maintenance. Composites, especially capped composites, are largely replacing hardwoods in contemporary deck designs. For deck replacement, Sacramento homeowners usually opt for natural-looking, easy-care composites. A composite is a blend of wood fibers and plastic polymers. Better quality composites are “capped,” meaning they have a cover melded into the base during manufacturing. This cover is not a separate add-on; it is extruded along with the base product but brings ultraviolet inhibitors, brilliant color, antioxidants and mold inhibitors to your deck. For deck replacement, Sacramento homeowners who choose composites generally select capped composites. They are financially and visually more appealing. Natural colors are growing in popularity, with the earth tones taking lead roles in decking and railing hues. Of great interest is a Victorian theme, with gray decking and white railings. Even if your space seems limited, use clever layering, decks for second-story access, and smart lighting tricks to make small spaces seem big. A new deck adds square footage of usable space, and with Sacramento’s weather, you can squeeze even more outdoor living into your year. Decks boost home value and are instantly appealing to prospective buyers. Straight Line Construction keeps up with all the deck design trends. Please contact us today to see how we can take your existing deck, and perform the kind of deck replacement Sacramento homeowners love.